My friend Andrea just sent me this picture of the cupcakes she made for her son’s birthday. I think they look incredible! Her boy saw them in her Family Fun magazine and had to have them to take to school. Andrea says they were pretty easy to make — they are just stick figures with ribs. 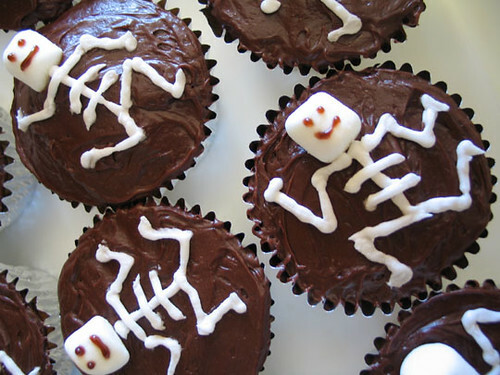 These cute little skeletons are so adorable.